Rotogravure printing technology dates back to the early 19th century, but became more popular in the 20th century, as newspapers adopted the technology. The term rotogravure evolved as newspapers moved from flat printing plates to the cylinders used in gravure printing today. Gravure sleeves further modernize the process. 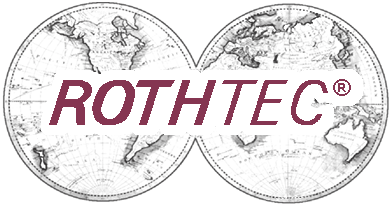 ROTHTEC® manufactures and engraves both gravure cylinders and gravure sleeves. Newspapers and magazines still use gravure printing today, but its use has been extended to food and non-food packaging, wallpaper, gift wrap, and labels. Many other niche uses continue to be developed, e.g. pool liners. In gravure printing, the cylinder or sleeve is etched with tiny cells capable of holding ink. Through a combination of pressure and capillary action the ink is transferred to the material to be printed.